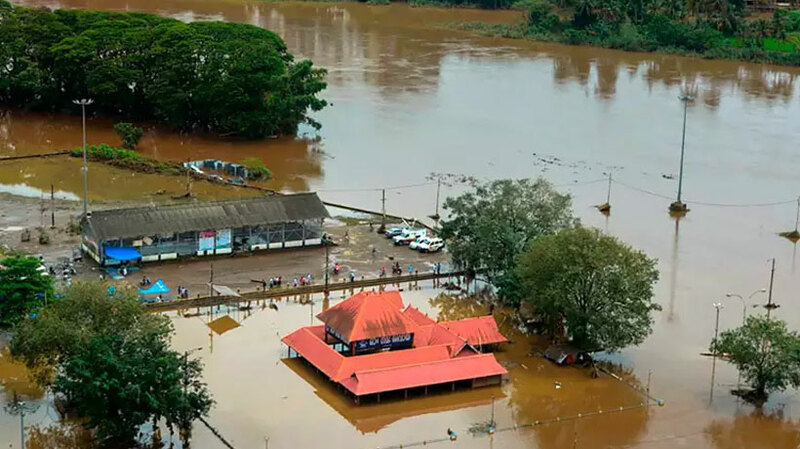 Kottayam: A total of 82,442 persons were saved by different agencies engaged in rescue operations in the Kerala, Chief Minister Pinarayi Vijayan said today. There were 3,14,391 people of 70,085 families accomodated in 2,094 camps, he told reporters. As many as 324 persons were killed from May 29 to August 11. Total number of those killed till today from August 8 was 164. He said 46 teams from Indian Navy, 18 from Indian Air Force, 16 from Coast Guard and 21 from NDRF took part in the operations today. Sixteen helicopters of IAF, 79 boats of NDRF and 403 boats of fishermen were used in rescue operations. Tomorrow, Army would use 12 big boats in Chalakudy and Chengannur. Five boats would be used in Kalady, 15 in Chengannur and 10 army boats in Tiruvalla. Additional boats would reach the state by air tonight. He said Punjab, Maharashtra, Telangana had offered help. Delhi Government offered Rs 10 crore. Indian Railways gave 1.5 lakh mineral water bottles.